Published on 23 March 2012. 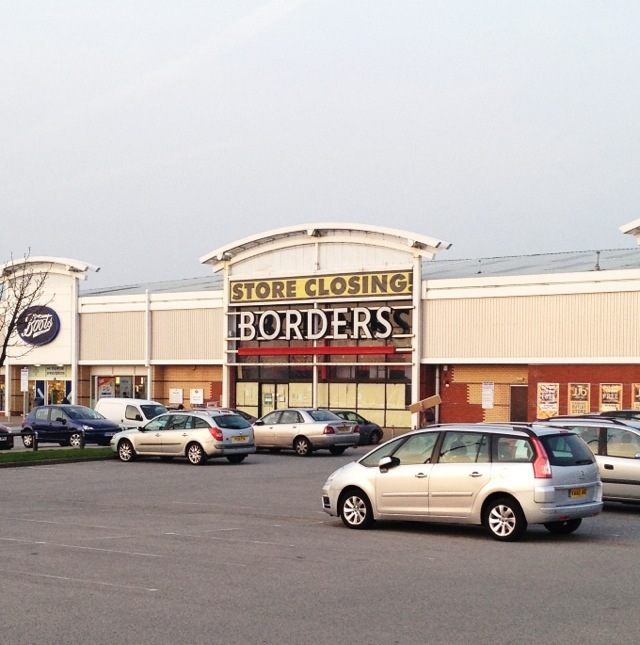 This is the old Borders on Deepdale Retail Park in Preston. I miss Borders: it was a great chain. Nearer home, in Wallsend, there’s an unholy co-branded HMV / Waterstones / Starbucks in the old Borders shed, which isn’t quite the same – not least as the different concessions are all differently decorated! This 1,578th post was filed under: Photo-a-day 2012, Borders, Preston, Retail.